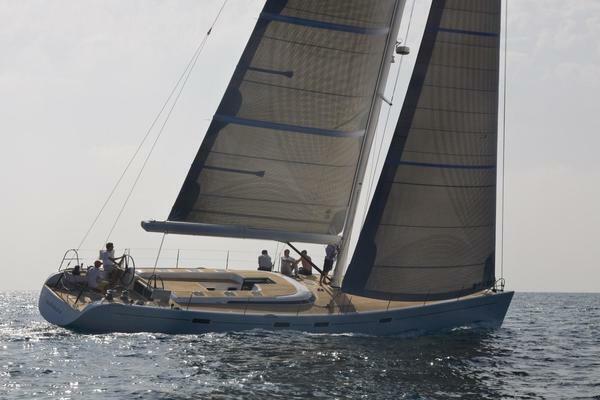 AMANTE is a great example of this popular Frers design built to high standards by Hylas yachts. She benefits from owners who have invested considerable time and energy into the equipment specifications, design modifications and interior décor/styling, all of which combine to make a magnificent yacht. Since her launch in 2007, AMANTE has proven to be a fast, safe and extremely comfortable world cruiser with an excellent four-cabin layout ideal for both private (in this case) or charter use. Under her original ownership and always well cared for, the yacht has enjoyed continual upgrades and improvements as noted herein, with recent work undertaken in Greece and in Italy. The vessel has RCD / EU certification, category A. United Yacht Sales New Jersey would love to guide you through a personal showing of this 70' Hylas 70 Centerboard Cruiser 2007. 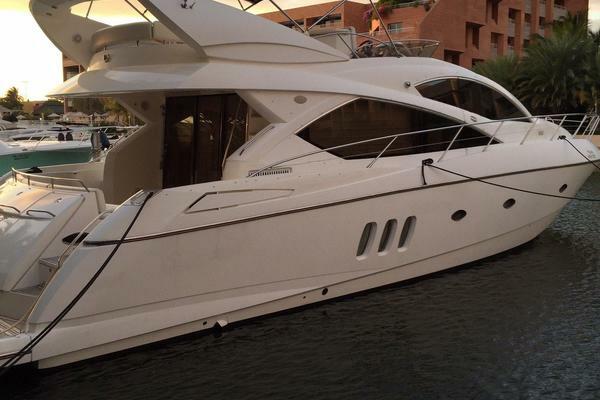 This yacht for sale is located in Pisa Italy and priced at $1,150,000. For a showing please contact us by filling out the form on this page and we will get back to you shortly! CREW QUARTERS/GUEST CABIN: A passageway leads aft along the starboard side to the owner’s cabin, with a roomy fourth cabin outboard – quite suitable for crew or guests --with over/under berths. Private head and shower stall. There are two opening portholes, plus one in the shower. MASTER STATEROOM: The owner's private stateroom is located aft and features a large queen-size berth on centerline (new mattress 2017), with a bureau to port and seat/desk area to starboard. Extended beam is carried well aft to create a spacious, open cabin accentuated by twin hull portlights, a deck hatch and six opening portholes. A private head with separate shower stall and opening porthole is found along the port side, with a passageway forward to the laundry and galley that can be opened when desired. Solid hand-laid Twaron-reinforced fiberglass hull using vinylester resins and isophthalic gel coat with epoxy barrier coating. There is a watertight collision bulkhead aft of forepeak locker. Topsides are Awlgripped in “Stars & Stripes Blue” with clear coat, gold cove stripe, white boot stripe and black bottom. Bottom was stripped, sanded and newly painted Jan 2017. There is a teak rub-rail with stainless striker and (6) Lexan topside windows. Centerboard configuration offers minimum draft of 8”-6” with board up and a maximum draft of 12-’4” with board down. One of the many highlights of AMANTE’s design is the spacious cockpit, with twin helm stations for easy access from the aft deck and great visibility while steering. The cockpit seating was customized by the owner to maximize seating for ten comfortably around a beautiful, varnished 6’ teak table with built-in drink cooler. Teak in cockpit replaced Jan 2017. The twin helms are designed for short-handed sailing with all sail controls within easy reach. Each station can be engaged independently and features customized back-lit panels (2009).